ONE of Yamaha's few surprises for 2013 has been spoilt with the first pictures of the new FJR1300 being inadvertently published by exhaust firm Akrapovic. 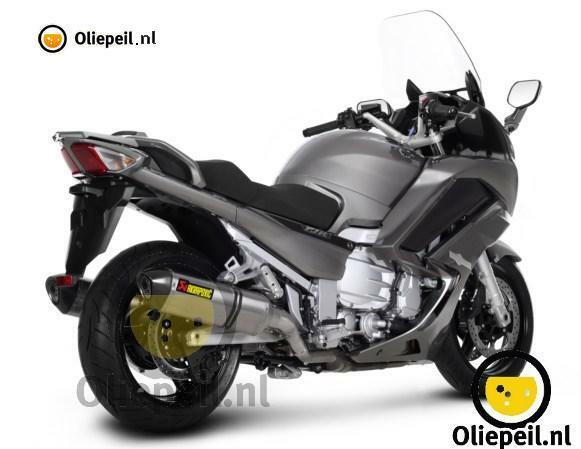 The shots, which come to us via Dutch site Oliepeil.com, reveal that the FJR's 2013 upgrades aren't as extensive as some had hoped, with visual changes limited to a reworked fairing and new clocks. With only rear shots available (unsurprising, since they're supposed to be showing the Akra pipes, not the bike) we don't know if there are new headlights to change the FJR's “face”. Technically, the bike is short on updates. Emissions documents from America's EPA website reveal that the 2013 FJR was keeping the existing 1298cc capacity and 143.5bhp power output – so between the EPA and Akrapovic, external leaks have revealed most of the key details of the new bike. Suspension and brakes appear largely unaltered, so we're expecting the biggest news to be in the form of electronics; to keep up with the neighbours (namely Triumph's new Trophy and the likes of Honda's VFR1200F and BMW's latest tourers) Yamaha is likely to add traction control and a handful of other gadgets. All will be revealed in early October when the bike gets its official showing at Intermot in Cologne.